I have spent part of this summer trying to figure out how to preserve the two most perishable vegetables I grow. 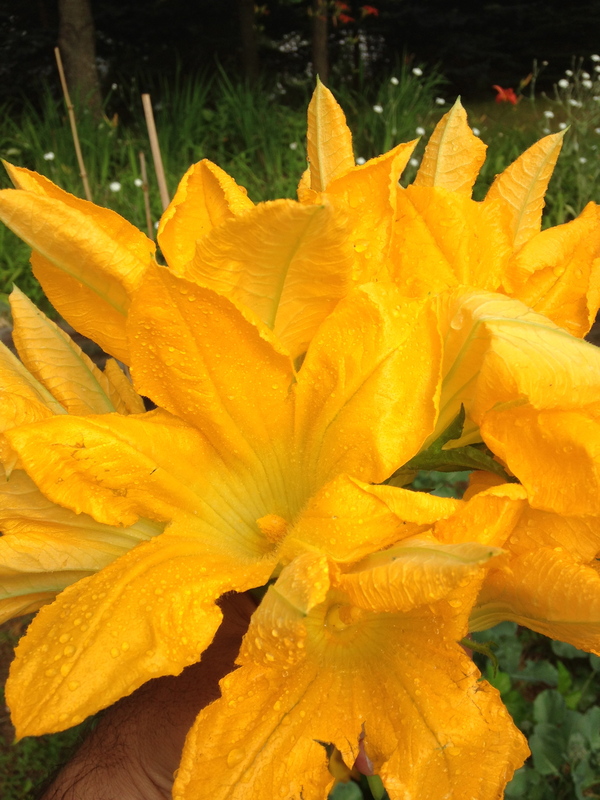 Lettuce, and zucchini (courgette) flowers. 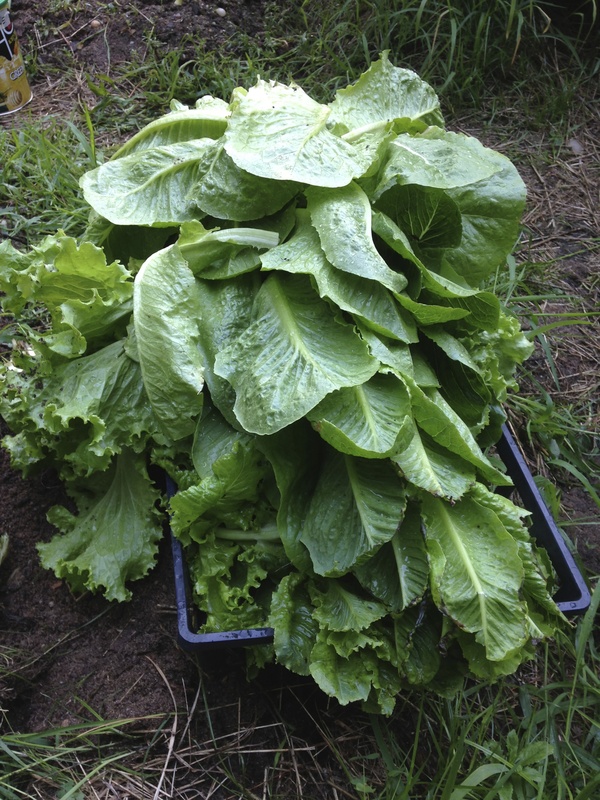 It is fairly easy to keep fresh one, or perhaps a couple heads of lettuce in the crisper section of the refrigerator. However, when you end up harvesting more than you can fit in the whole fridge, you know you need to try something different. The solution came to me simply, but out of necessity. 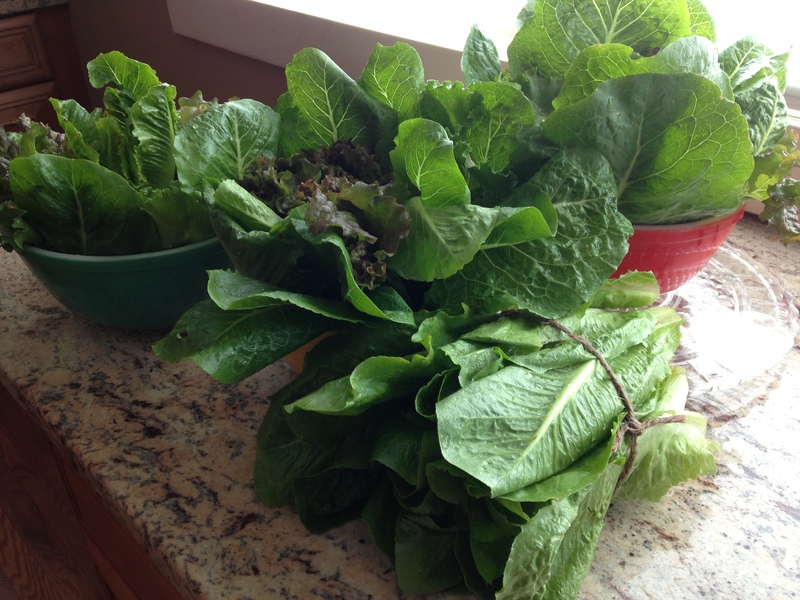 Right after collecting a batch of lettuce leaves, I thoroughly rinse them in the sink in cold water to get rid of sand any other stuff still on them. 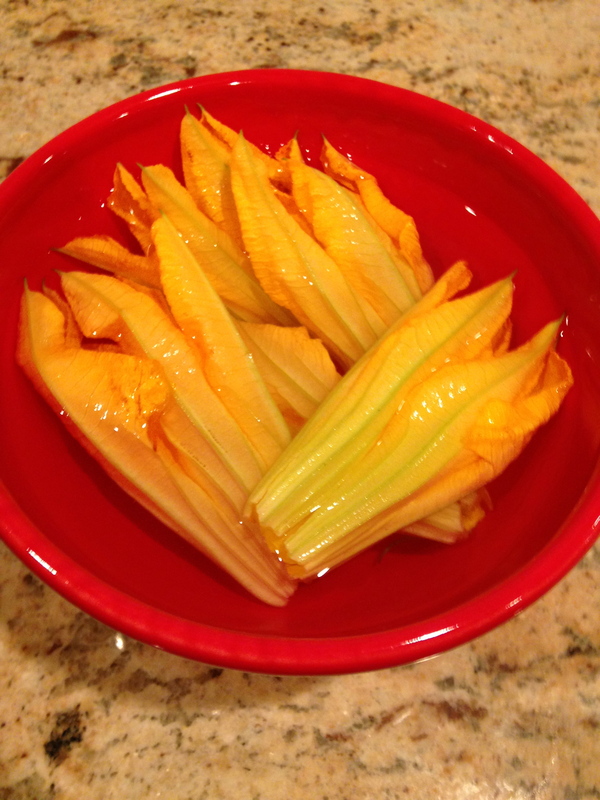 I put them stem end down in a bowl keeping the larger leaves on the outside. 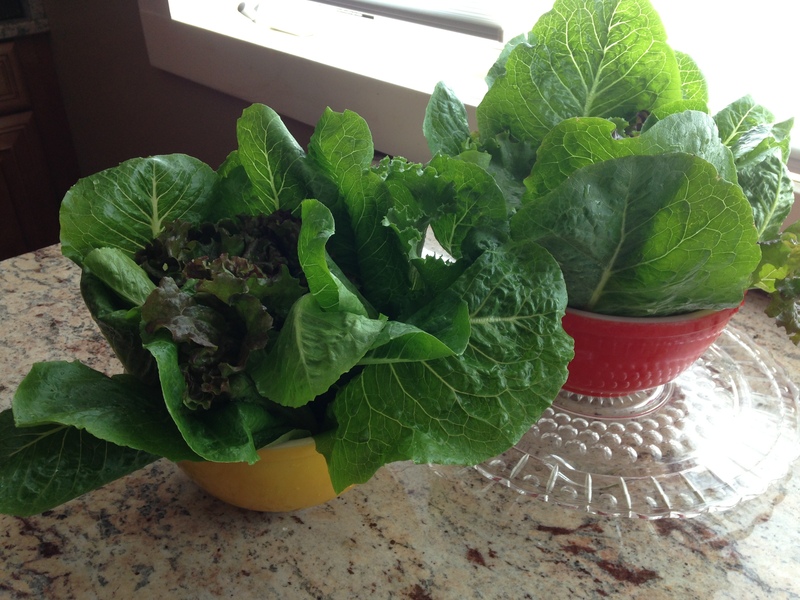 I then fill the bowl up with cold water to keep the lettuce fresh. In this manner, the lettuce keeps very crispy, without drying up or browning for at least a day and a half right on the kitchen counter, without the need for refrigeration. Whatever lettuce we want to give away, we tie lightly in a bundle with a cord and put it in a plastic bag. I have been able to keep and transport lettuce like this for a few hours. 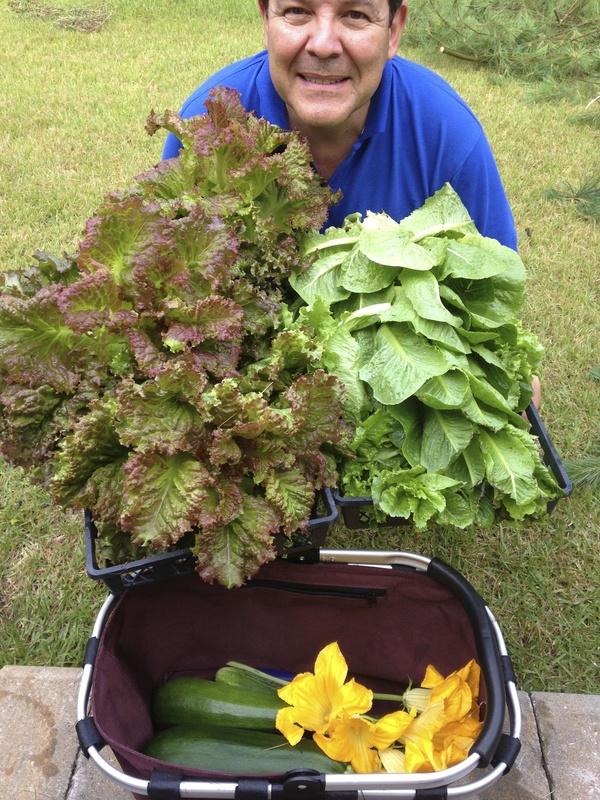 When I have different types of lettuce available I make bundles with assorted leaves for an instant salad mix. 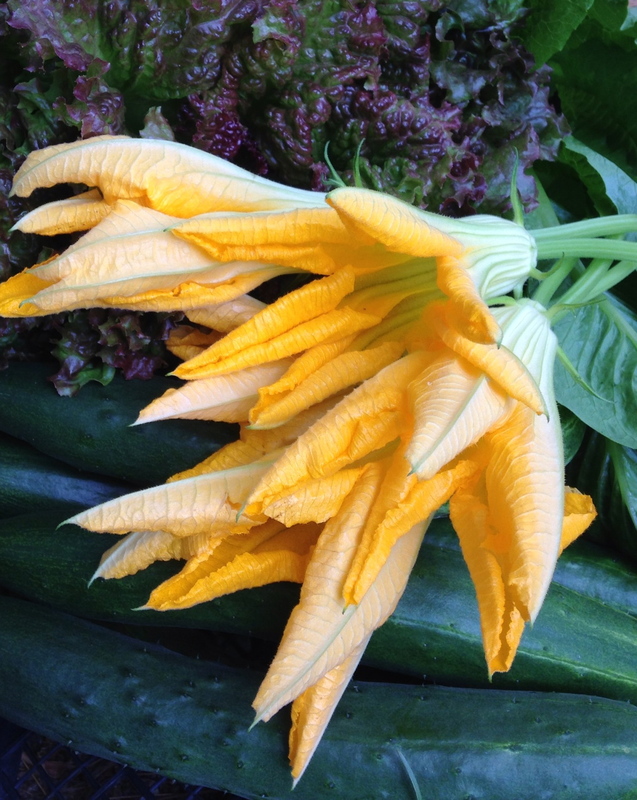 Now, if figuring out how to keep lettuce came easy, zucchini flowers, on the other hand, were a real challenge. The flowers comes up very early in the morning and if left on the plant they will close up and start wilting by early morning. As much as they are delicious for breakfast, we had seen some great recipes that we wanted to try for dinner. We had also offered flowers to friends who would not come over early enough to get them fresh off the plants. I tried everything: keeping the flowers on the counter; keeping them in the fridge; putting the flowers in a vase; keeping the vase in the fridge, etc. The results were at least consistent, in the afternoon the flowers always looked somewhat sad, petals starting to curl, a little bit soft and dull yellow. My final try was last week. 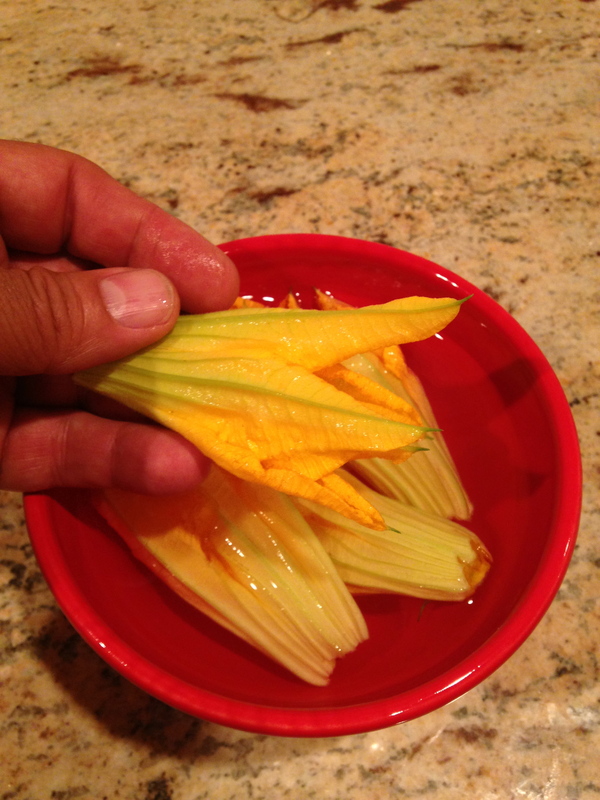 I cut the stems at the base, removing everything and leaving only the petals as a hollow tube. 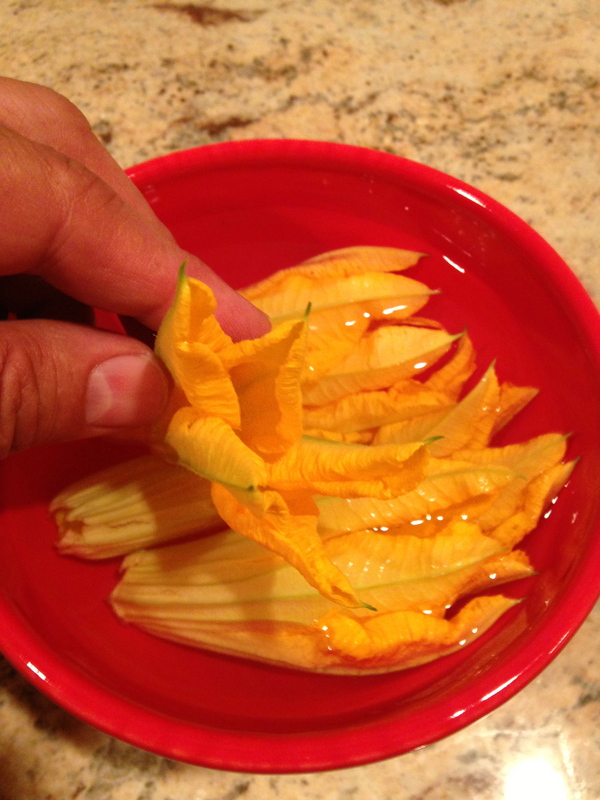 I rinsed the flowers and refrigerated them immersed in a bowl of water. It was not until the next evening that my wife took them out of the fridge and declared “this is it”. 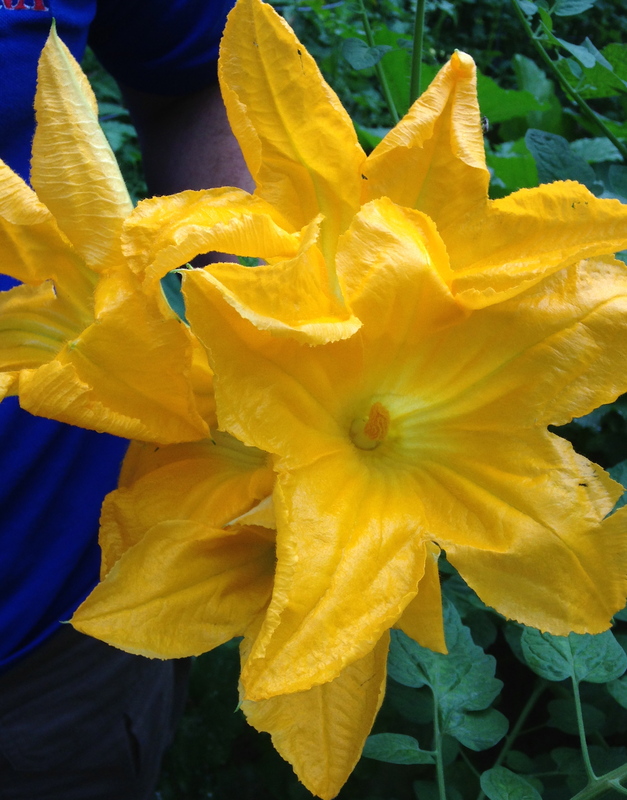 After more than 30 hours, the flowers were still firm, bright yellow and open all the way. We decided to eat them following Nonna’s recipe, they were delicious. Unfortunately, I got these promising results with the last flowers I collected before discarding and mulching the spent zucchini plants. My next batch of zucchini plants is still germinating, and will not be available for me to try again for a few weeks. If you are still getting flowers, and happen to try this, please leave me a note below, I would like to know what kind of results you get.